This cute-looking half gallon white plastic pail is absolutely great for storing little things. You can use some of these pails to keep your house from being messy and disorganized by stacking things like stationary, letters, cellphone chargers, screwdrivers, batteries and so on. Label each pail with the right description of what is inside and arrange them in a shelf neatly. Not only can it keep you organized at home or at the office space, the square half gallon plastic pail is also good to store food products in the kitchen. It is FDA approved and it's considered safe to contain food materials. Plastic lid is included with tamper evident tear tab strips. 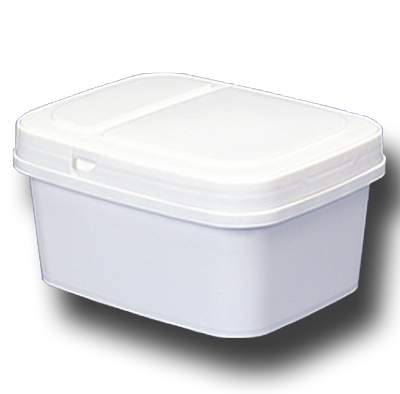 Looking for the best container to send away your delicious cookies and other baked goods? You can use this square ½ gallon plastic pail. As it has no handle, it is easier to pack and ship. You should really check out this product.